Every spring, moms and dads search for ideas and summer camps for entertaining their kids during their school’s summer vacation. 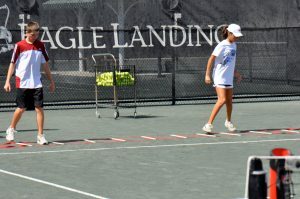 Every summer, the staff at Eagle Landing pulls out all the stops and offers a wide variety of summer camps from tennis camps, golf camps to a weekly themed recreation camp and a summer swim team! Whether you’re interested in your child perfecting their swing or just introducing them to the basics, our Golf Camp combines fun and basics for ages 6 – 16. Limited space available so sign up early! Cost: $150 for 1st child per week. $80 per week for additional siblings. Non-members are welcome at additional cost. Fun in the sun, pool and everywhere for ages 5 – 12! Kids needs to wear comfortable clothes & shoes, bring swim attire, sunscreen and a lunch. We provide a special lunch every Friday! Themed camps run weekly beginning June 12th. 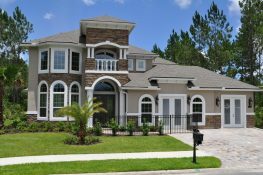 Open to all residents of Eagle Landing. If space is available, guest fees will also apply. *Extended hours 7:30am – 5:30am available for additional fee and must be arranged in advance. Let our tennis pros, Mark Arrowsmith and Scott Moore, sharpen your children’s skill set focusing on fundamentals in our fun-filled tennis camps. Fridays include pizza and pool time! Seven weekly camps starting June 12th for ages 6 and up! Pricing available for weekly camps or daily. Last camp begins July 31st and there is no camp the week surrounding July 4th. Sign up in advance at the Athletic Center. Non-members are welcome at additional cost. Sign ups are still be accepted for the Eagle Rays Summer Swim Team until May 15th! Children must be age 5 by June 1, 2017 and all ages up to age 18 are welcome! 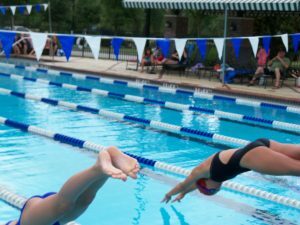 Each child must commit to participating in at least 3 meets during the season. Cost: $155 for the first swimmer in family (tax is not included). Fee includes coaching, team T-shirt, swim meet ribbons, logo cap, league fees and the “End of Summer” Banquet. Swim family must purchase suits and goggles. Swim Meet Schedule: start at 9am unless otherwise noted.